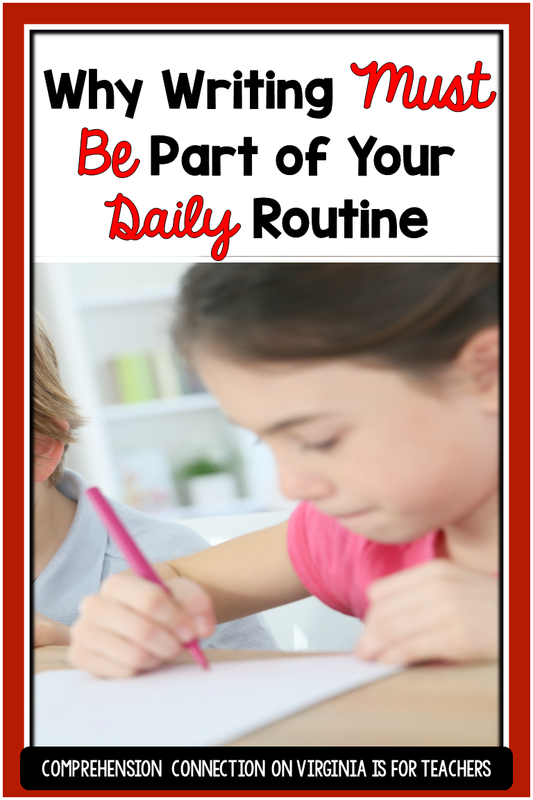 Writing gives students the time to apply what they're learning in Word Study. As students compose, we are able to observe their use of the spelling patterns we've studied. We see our kids segment sounds and demonstrate the strategies they use for figuring out how words are spelled using word families and words they know to figure out what they don't. We also can observe their understanding of word meanings as they put words into context. 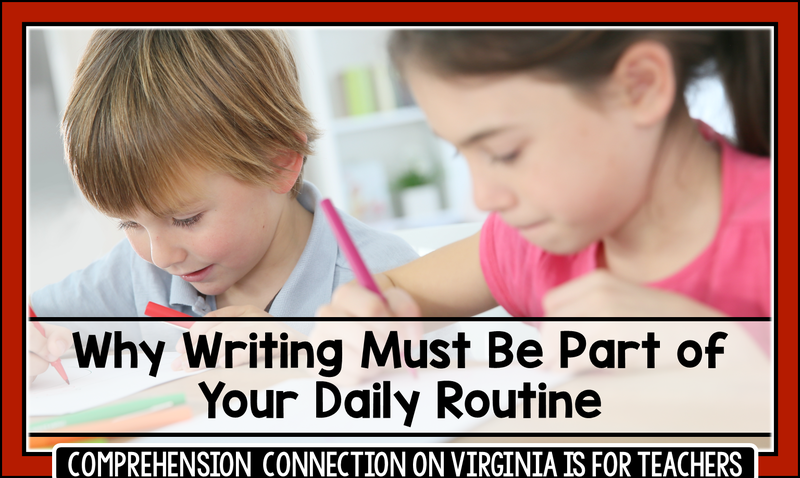 This process is especially valuable with young readers because it can help us determine approximate reading levels, what patterns have been mastered and which need to be taught, and where to focus our attention for future mini lessons. Yes writing takes time, but without it, you miss seeing your kids process what you've taught them. Writing lessons give us a chance to highlight great books. One of the best ways to teach writing traits is through analyzing great writing. I love highlighting great children's books such as Scarecrow by Cynthia Rylant, Owl Moon by Jane Yolen, or Brave Irene by William Steig. For mentor text lesson ideas, [CLICK HERE] to visit the posts on my blog, Comprehension Connection or check out The Writing Fix for great mentor text lesson ideas. As you share your favorite picture books (and this is for upper elementary too), use post it notes to mark the talking points you want to share. If you're focusing on word choice, finding examples of WOW words is a great way to highlight how the words change the story impressions we get. Additionally, it gives us a way to teach rich vocabulary. Informal writing gives your students a chance to express themselves in a creative way. Writing is naturally differentiated. You can give your students a prompt and have each child write to his/her level. For those who LOVE to write, you don't have to worry about challenging them. They will not want to stop. 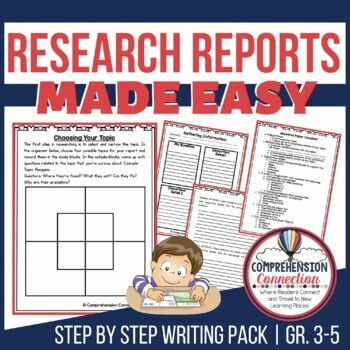 This may free the teacher up to give intensive assistance to those who need more guidance in sentence elaboration, revisions, or even gathering ideas. Writing takes reading comprehension to deeper meaning. If students write in response to their reading, you see deeper understanding versus simple recall of story details. I love giving my students a prompt where they must use story evidence to support their thinking. You can make a prompt as simple as "Would you recommend this book or not? Explain why or why not?" You might ask for three reasons to get you beyond, "It is good." Whether you're writing narrative or expository pieces, you can teach your students the structure through modeling how to format paragraphs. With expository writing, students learn that the topic sentence is the main idea, and that the support provided or examples are the story details. Students learn how to share a central ideas through their piece. You can do the same with narrative writing. Students plan using a story map. They see how to develop characters and the importance of the setting and plot. Writing TEACHES comprehension skills. Writing builds readers. Writing takes time, but these techniques can be worked in throughout your day so that you aren't shortchanging any of your content. USE writing TO TEACH, PRACTICE, and ASSESS your students understanding. In the upper grades, you have so many more options. Kids have increased their writing speed, word knowledge, and understanding of sentences structure freeing them to generate more in less time. Some of the techniques for primary can still be use and should be used though. Students should ALWAYS have a piece of writing that they are carrying through the writing process in the upper grades. I suggest keeping a portfolio throughout the year to show parents and your students how the skills are developing. These samples are the best for child study meetings too as they show a LOT about how a student processes information. Shared Writing...yes...even in upper. It is the way we model. PROCESS WRITING...students must learn how revising matters. Writing takes time. Believe me, I know and understand, but I hope I've helped you understand the value of that time. You gain so much information from including writing into your instruction, but your students gain far more in the thinking process.